The idea behind this unit is to remove the sub-energy from the main amplifiers and loudspeakers. For a given voltage level, the lower the frequency the greater the magnetic flux in the signal transformers. 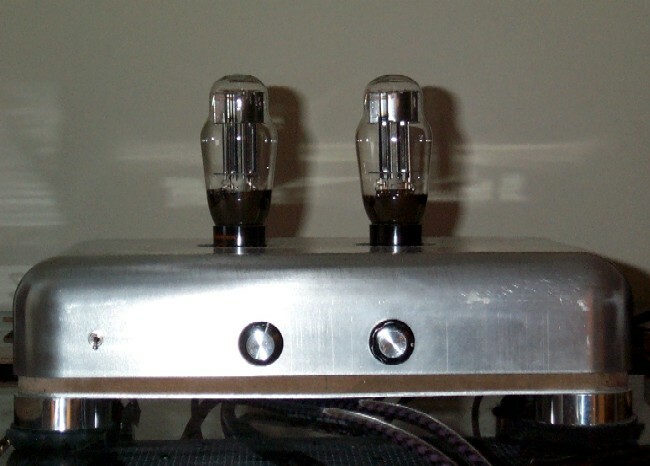 So rather than implementing classic bi-amplification, I felt that it would be more effective sonically to remove the sub frequencies entirely from the main amplifiers and let the sub-woofer plate amplifier handle them. Similarly, for a given sound pressure level, the lower the frequency the greater the loudspeaker cone displacement. Consequently the sub frequencies cause doppler distortion, therefore there should be a real benefit in removing the sub energy from the main loudspeakers. I was astonished when I first tried this unit. There were clearly audible improvements in resolution and clarity but the biggest gains came with improvements to the sound stage, especially the tricky aspect of sound stage depth. The topology uses input transformers (Lundahl 1540). These have dual secondary windings. I used this feature to separate the four channels, by connecting each secondary to separate 6AS7 common cathode triode buffers. I could not use cathode followers because the resulting gain would be inadequate. The gain using the RCA inputs is around -2dB. The line buffers incorporate a C-L high pass filter, the corner frequency being at around 80Hz. The sub channels have no filter, relying on the low pass filter on the sub woofer plate amplifier. 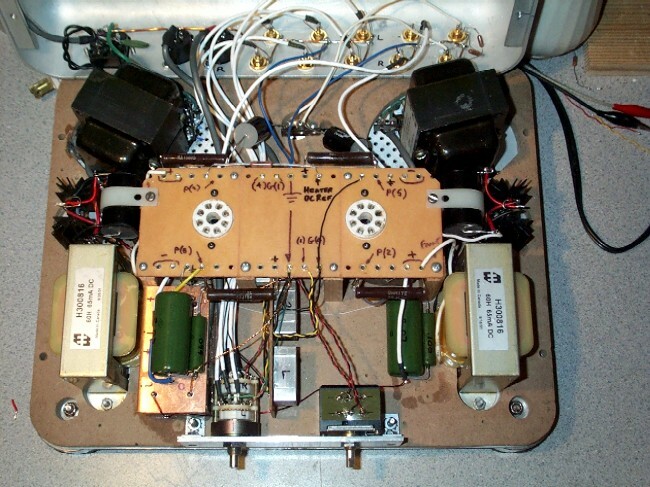 A nice benefit of using the 1540 transformers is that the units can acceptance both balanced and unbalanced inputs. (I use the XLR outputs from my Meridian 508-20 CD player.) Volume control is accomplished using a 6k series resistance in the 'live' leg of each transformer secondary winding and a variable shunt (Alps potentiometer) between the 6k resistors. (I used this technique previously on the balanced line stage and found it to be superbly transparent.) Note the alignment of the power supply transformers. These are Hammond 200 series which emit too much electromagnetic radiation (H field). I very carefully adjusted the angle of these to achieve a surprising level of mutual cancellation. Hum and noise on the outputs is in the 0.5mV range, still more than I would like. I may replace the transformers with 300 series some day. I used 6AS7s partly because I like the sound of them but also because of the very low Rp. However, 6AS7s tend to be microphonic. I lucked out and located 4 NOS Amperex units which are much better than RCA units in this respect. 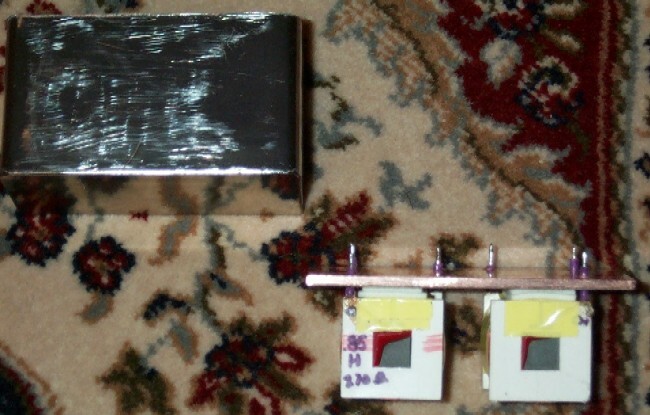 The high pass filter chokes are home made, wound on ferrite cores for an inductance of 0.8H. 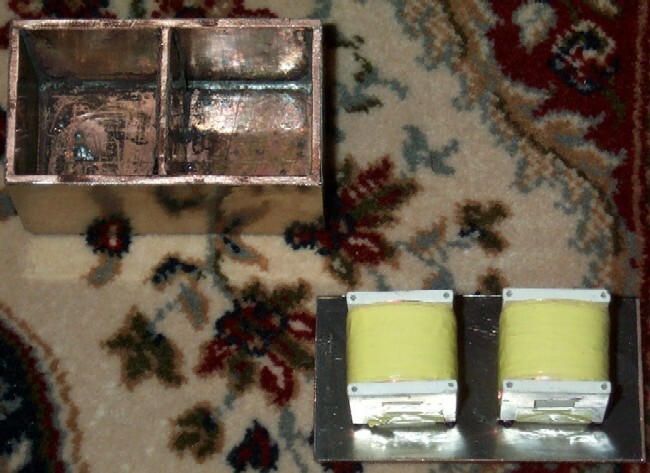 I installed them into a copper box covered in self-adhesive mu-metal.